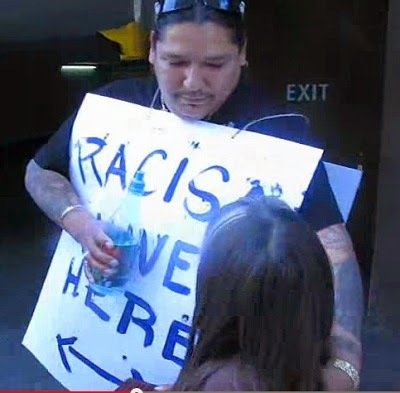 Home Uncategories Police in Winnipeg says mean things to the Native man with his 10 year old daughter in the elevator. Police in Winnipeg says mean things to the Native man with his 10 year old daughter in the elevator. He was a paying customer too, just like everyone else is, and he was asked to leave the hotel yet the other male in elevator harassed him and his daughter. The man in the hotel elevator was a police officer who got into the elevator intoxicated, he started saying mean things to the Native man with his daughter in the elevator, the father got mad and started arguing with the police officer, the security was called by the father and then they told the father that he had to leave the hotel. Wow they should have escorted the drunk police officer out of hotel.